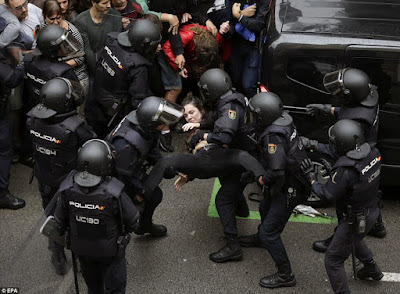 Spanish imperialists in Madrid have dissolved the Catalan government, and sent huge numbers of police to the occupied territory. 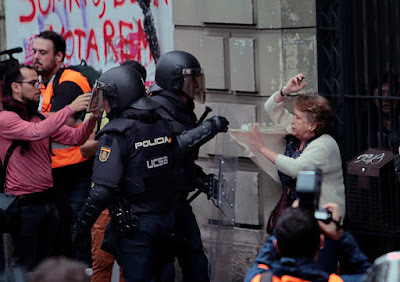 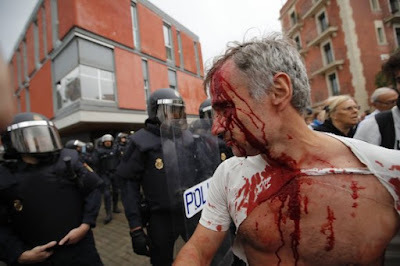 Now the Spanish rulers aim for 'free & fair' elections on 21st December. But beginning immediately they'll imprison opposition leaders, possibly for 30+ years. Visit Barcelona & Catalan? 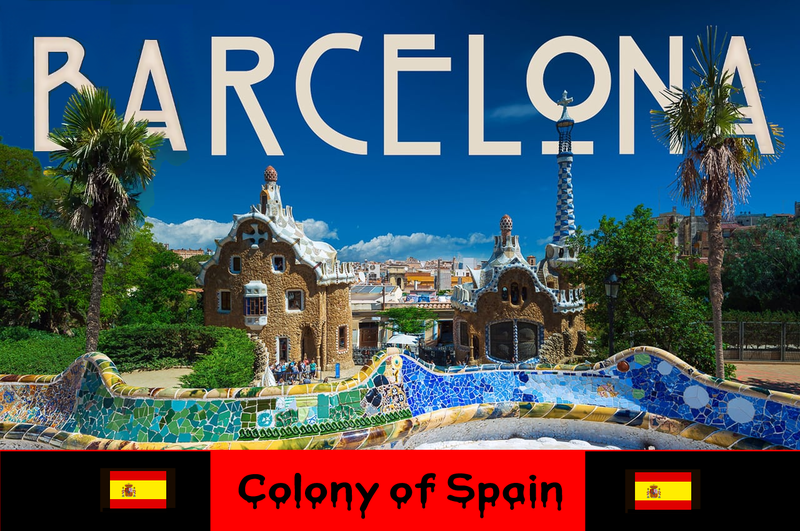 Colony of Spain.